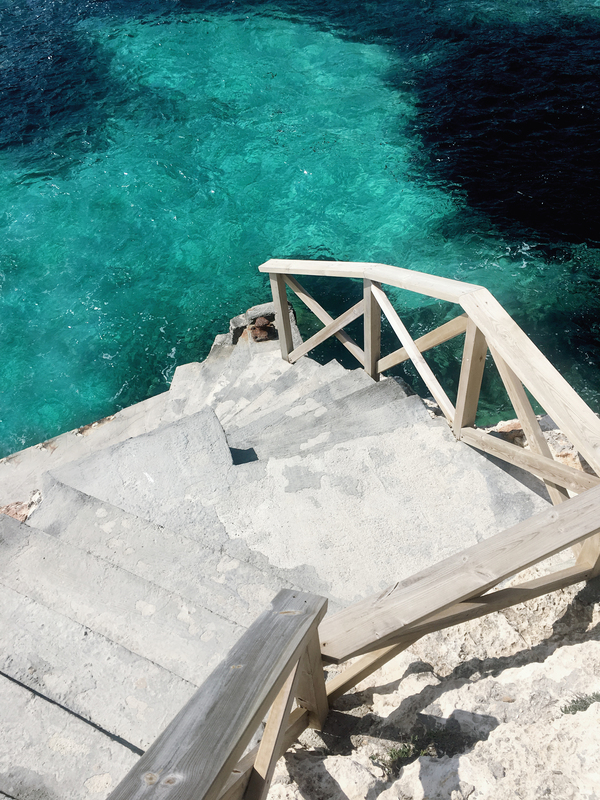 With memories of Mallorca and it’s saucy beaches forever imprinted in our memories, Sam and I recently went back to the dreamy Balearic Island for the second time. It has a reputation for being pretty dominated by tourism (I believe the term is ‘Brits on tour’) with a few key areas feeling more or less like a resort town. I’m not gonna lie, the tourism is pretty extensive. But to be fair it’s for good reason; the beaches we discovered were hands down the most beautiful I’ve ever laid eyes on. Every single beach we drove by or wandered down to was straight up beautiful. Soft white sand, incredible rocky cliffs just made for leaping off and the most translucent water known to mankind. Full disclosure; although we also explored the west and north coastlines, the east coast of Mallorca is by far my favourite; hence the list below. This may not be a definitive guide for the entire island, but I can confirm these beaches are well worth making the journey for. —A ridiculously idyllic cove surrounded by red-hued cliffs and a pine forest. Cala Llombards is pretty well catered for; there’s an overpriced bar slash restaurant, a bathroom and sun loungers shaded by furry palm leafs for hire. 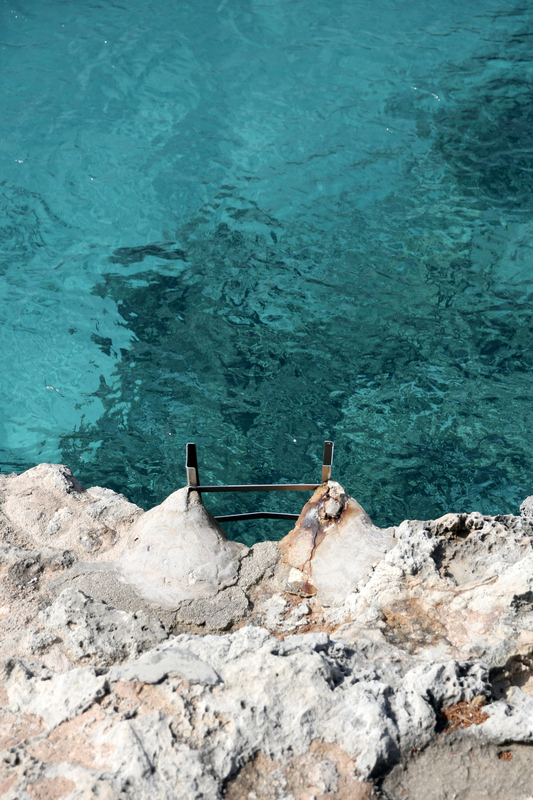 Although like most beaches in Mallorca the best spots are usually away from the crowds on the sand – walk along the rocky coastline for the best views of the turquoise waters below. Getting here is easy as the road is well sign-posted; just follow the dirt road and grazing sheep until you hit the water. 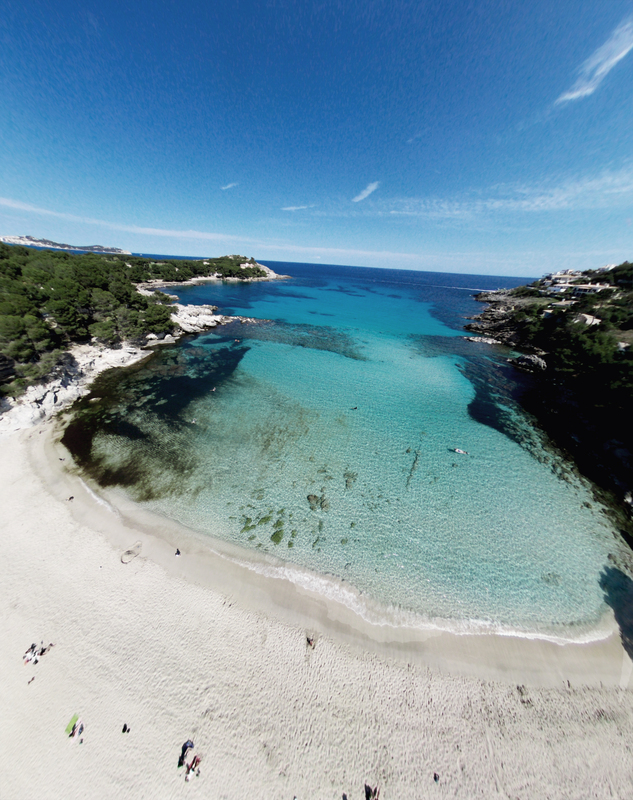 —Cala Mondrago is a small-ish beach inside Parc Natural de Mondrago. You can park at the top of the parc and walk down, exploring as much or as little of the National Park as the heat will allow. It gets busy, but there’s plenty of room for everyone. Plus there are fruit vendors ready to slice up a watermelon or crack open a coconut for some seriously tropical vibes. —When driving along the coast, the road to Cala Sa Nau is a sort of blink-and-you’ll-miss-it affair. We stumbled across this little beach by pure chance, and ended up staying for hours. The water here sparkles like nothing else. 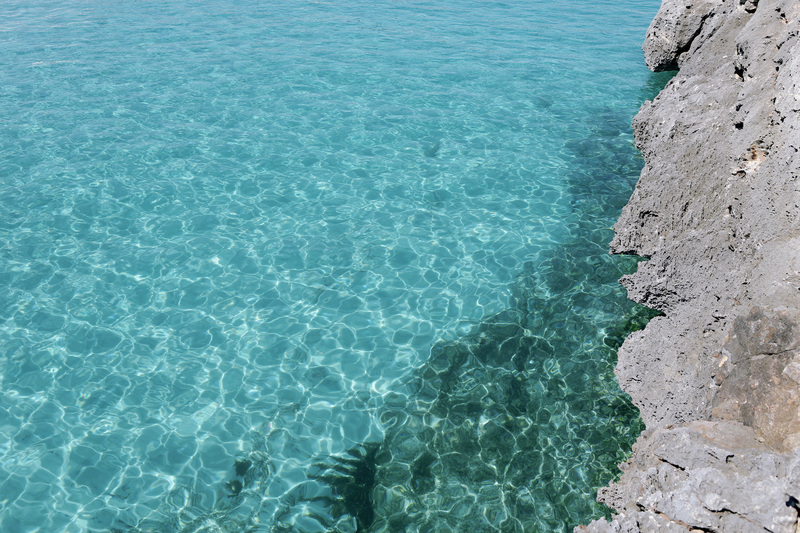 Find yourself a flat perch up on the rocks for a little sun bathing (with plenty of SPF of course) and then jump into the magical sea below when things get too hot. 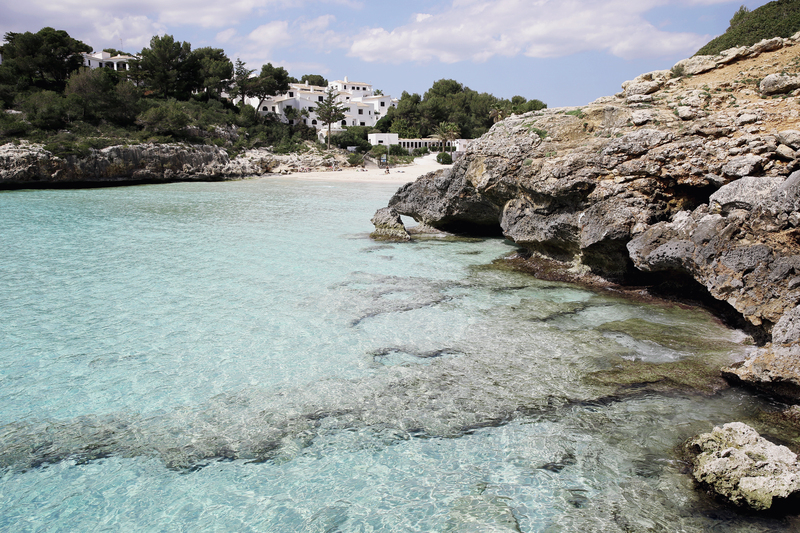 —On the southern tip of the island, Esc Trenc is one of Mallorca’s most well-known beaches. To be honest it really wasn’t our jam. It’s very different to the rest (a long, skinny beach with shallow waters and no rocky cliffs) which is maybe why people like it so much. 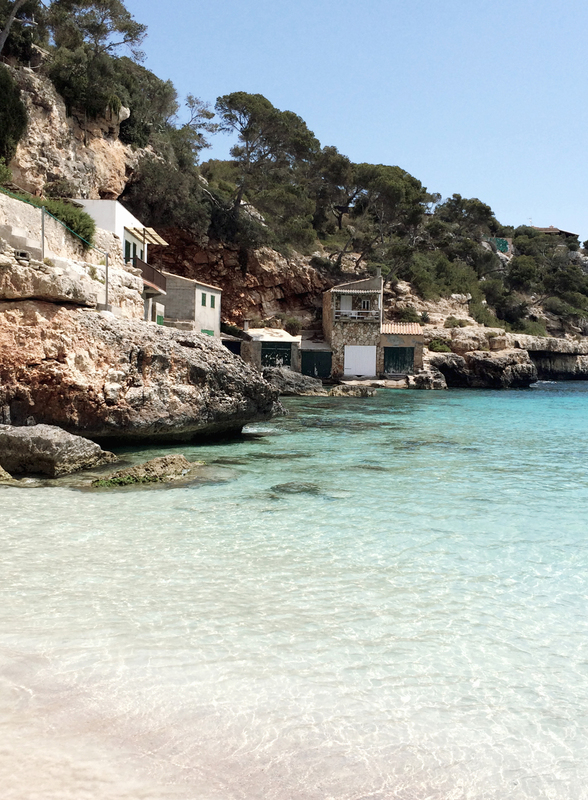 —Cala Anguila is the epitome of what makes Mallorcan beaches so damn good. A spacious beach with soft white sand, calm turquoise waters (yep, no waves or currents even when it’s windy), a ramshackle beach bar, endless rocks for leaping off (or just admiring the waters below) and plenty of parking nearby. It’s also a 5 minute walk from Cala Mendia which is a little more exposed but just as beautiful. —The name pretty much gives this one away, Cala Esmeralda does pretty well in the dreamy water stakes. Popular with families thanks so the mellow waters, this little cove is also conveniently close to a string of equally picturesque beaches worth hopping along to. 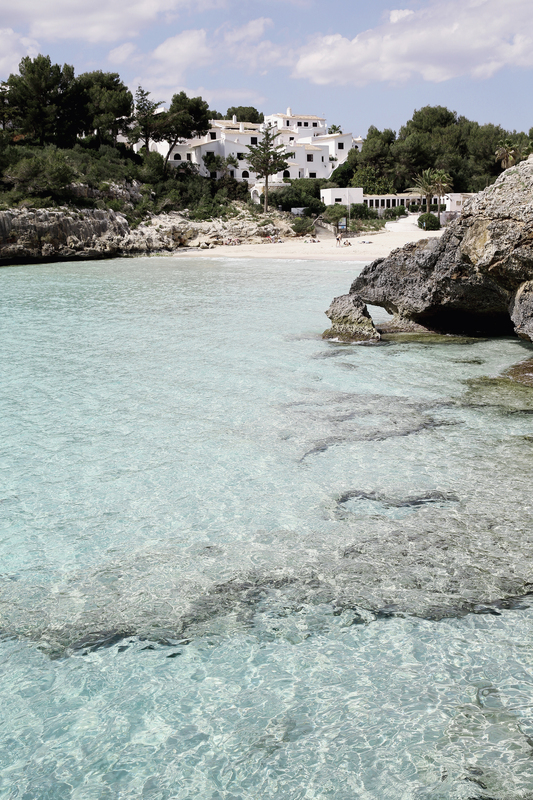 —I’ve saved the best for last; Cala Varques is hands down one my favourite beaches in the world. We spent two full days exploring the rocky terrain and leaping into the unbelievably clear waters sans swimwear (it is Spain after all). We heard about Cala Varques from some locals, and while there are plenty of tourists who frequent the beach there’s also a community of local beach-goers who all seemed to know each other and enjoying hanging out in this hidden nook. No toilets or sunloungers, but one of the locals has a drink cart where you can buy water, cold beer, sandwiches and even a freshly made Mojito. 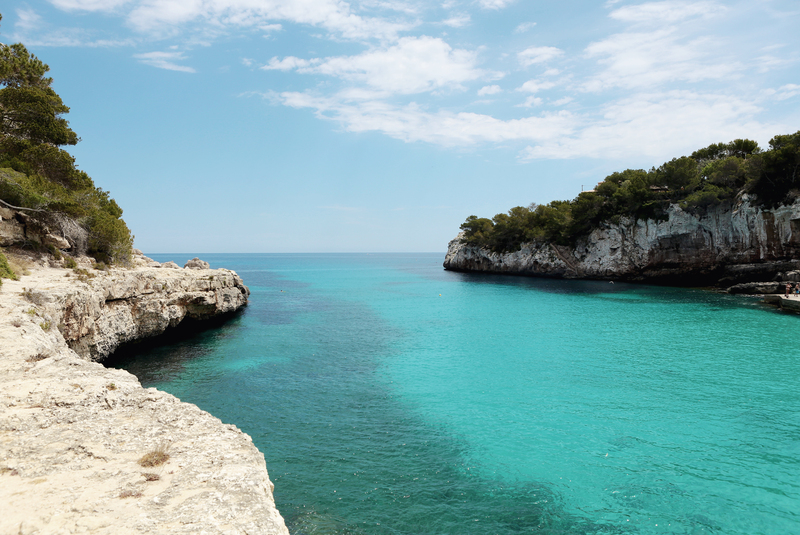 Cala Varques is definitely off the beaten track. From the main road it’s about ten minutes drive down a beat up path, at the end you’ll find a locked gate pushed open just enough for a person to squeeze through. Once your on the other side walk another ten minutes or so through the forest until you reach the beach. It sounds more complicated than it is – plus it’s all about the adventure, right?